Since 2001, BIOVEA has been a leading manufacturer, distributor and online retailer of high-end health and beauty products. 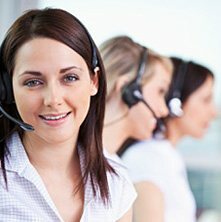 We have built a strong reputation for service, reliability and quality by serving hundreds of thousands of satisfied customers worldwide. BIOVEA is committed to providing you with the necessary tools for healthy living and the best overall user experience possible. We strive to bring you the latest innovative brands and products and are continually expanding our website features to meet your needs. FREE POSTAGE & PACKING: Standard shipping is FREE for all orders over €29.00! We sincerely appreciate your business and referrals, and look forward to serving your health and beauty needs for years to come. Happy shopping and we wish the best of health for you and your family! stay connected on Mobile, Facebook, Twitter, Instagram, Google +, YouTube. The information provided on this site is intended for your general knowledge only and is not a substitute for professional medical advice or treatment for specific medical conditions. Always seek the advice of your physician or other qualified health care provider with any questions you may have regarding a medical condition. The information on this website is not intended to diagnose, treat, cure or prevent any disease. Never disregard medical advice or delay in seeking it because of something you have read on the BIOVEA site. Product sold on this site are for personal use and not for resale. All orders placed through this website are subject to BIOVEA's acceptance, in its sole discretion. This means that BIOVEA may refuse to accept, or may cancel, any order, whether or not it has been confirmed, without liability to you or any third party. BIOVEA reserves the right to discontinue any program or offer. © Copyright 2001- 2019 BIOVEA. All Rights Reserved. 50% Off any 2nd Product! other item of equal or lesser value at ½ price. be combined with any other offers.